In his book Role Models, our preeminent filth elder John Waters writes, “Explain what? A role model? Someone who has led a life even more explosive than mine, a person whose exaggerated fame or notoriety has made him or her somehow smarter and more glamorous than I could ever be? A personality frozen in an unruly, blown-out-of-proportion position in society who earns my unmitigated respect for his or her other turbulent, ferocious will to survive frightening success or failure?” (6-7). From Tennessee Williams to Little Richard to Zorro, the infamous Baltimore lesbian stripper with the face of Johnny Cash, Role Models acts as a self-portrait of Waters through his very own idols who shaped his Pope of Trash trajectory through their extreme behavior and unique forms of bravery. Like Waters, writer, curator, artist, etc. Hilton Als’ One Man Show: Holly, Candy, Bobbie and the Rest at The Artist’s Institute pays tribute to the genderqueer forefathers and mothers that paved the way for the increased level of trans-visibility today. Not only inspiring trans people, the transgressive personalities featured throughout One Man Show deeply affected many queer individuals who felt and continue to feel like “minorities who don’t even fit into their own minorities” by performing as, like Als articulates, “different within difference.” By enacting and pioneering radical forms of self-presentation, self-fashioning and queer world-making, these role models represented in One Man Show propose new possibilities of queer identity. Fred McDarrah, Holly Woodlawn on David Susskind with Andy and camera, December 7, 1970, 15 ½ x 12 ¼ inches (framed), gelatin silver print, courtesy the Estate of Fred W. McDarrah and Steven Kasher Gallery. 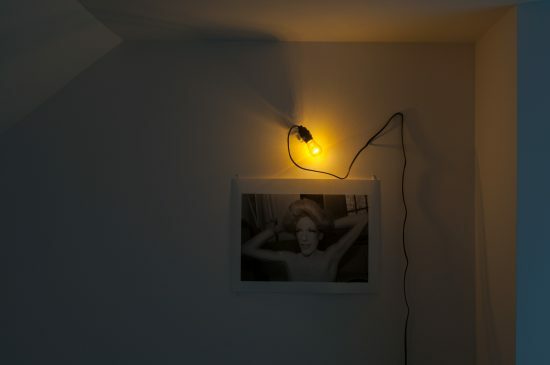 Sparked by the death of actress, Warhol superstar and nightclub performer Holly Woodlawn, Als’ exhibition fills The Artist’s Institute’s new Upper East Side townhouse with the memories of sadly mostly departed drag and trans figures. Als highlights known performers and activists such as Ethyl Eichelberger, Sylvester, the, as Als describes, “Candy-Holly-Jackie Curtis trinity,” and Stonewall legend drag king Stormé DeLarverie, as well as the more unknown like his friend and inspiration Bobbie Derecktor. Hilton Als, Portrait of Myself, But as Which One? (for EMJ), 2016, dimensions variable, Polaroid photographs and books; Diana Davies, Unknown Attendee at Gay Liberation Front Meeting, 1968-75, 14 ¼ x 17 ¾ inches (framed), digital C-print, courtesy The Manuscripts and Archives Division, The New York Public Library. Acting as both artist and curator, Als merges archival photographs of these icons such as Richard Avedon’s stunning portrait of Jackie Curtis, Holly Woodlawn and Candy Darling with his own installations and photographs. Through photographs such as Judy Linn’s Ethyl Eichelberger, tattoo drawn by Ken Tisa, showing Eichelberger’s notorious back tattoo of himself in drag, the transcendent freedom in the cutting-edge presentation and determination of the self can be observed. Hilton Als, Stormé, Bobbie, and the Rest, 2016, 57 x 61 inches, overhead projector with transparency of Bobbie Derecktor; Diane Arbus, Stormé standing in the park with a cigarette, NYC, 1961, 14 ½ x 17 ½ inches (framed), gelatin silver print. Als also literally combines photographs with his own creative gestures as seen in his installation Stormé, Bobbie and the Rest. Als layers a projected transparency of Bobbie Derecktor over Diane Arbus’ portrait of Stormé smoking a cigarette in a park. Overlaying these two images, Als conflates Stormé’s masculinity with Bobbie’s femininity, as well as Stormé’s more renowned gender play with Bobbie’s less known but no less significant gender performativity. By combining the two, Als puts Bobbie’s “beauty and intelligence and social radicalism” in conversation with Stormé’s historical legacy at Stonewall. With these, at first, seemingly unexpected combinations, Als’ curatorial and artistic strategies closely resemble his eponymous writing style as seen in his exceptional book White Girls. Placing apparently disparate references together, Als strength has always been his ability to write in the margins, creating critical yet tenuous links between the personal, cultural and political. Using this tactic, Als allows for a multifaceted, multidimensional understanding of his desired topics whether race, gender and sexuality in White Girls or absence and role models in One Man Show. Judy Linn, Ethyl Eichelberger, 1990, 21 x 16 inches, gelatin silver print, installation view. At once a memorial and a party, Als’ One Man Show converts the staid domestic interior of an Upper East Side townhouse into a disco-like space for queer memory. 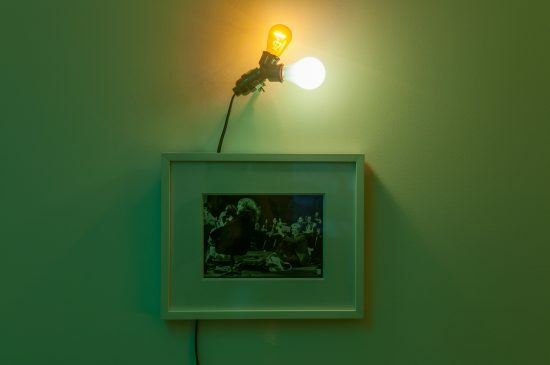 Highlighting the queer individuals who have been historically more associated with nightclubs and bars than studies and sunrooms, Als reconfigures the lighting installation to resemble a club with sudden bare light bulbs hanging over photographs like spotlights or diffuse color pervading the installations. Hilton Als, Candy, 2016, 194 x 96 inches, screen print on cellophane. 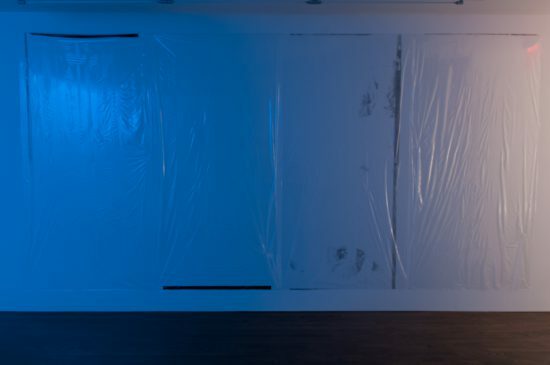 In Als’ haunting duel Silver Candy and Candy, Als printed faint images of starlet Candy Darling on cellophane, covering the bare white walls with the material. Without a clear image or identity, both Candy’s seem like a Warhol screen-painting gone wrong–a faded, disappeared beauty. Making Darling’s loss into a ghostly printed ink stain, Als’ installations give Darling’s absence a true palpable physicality. 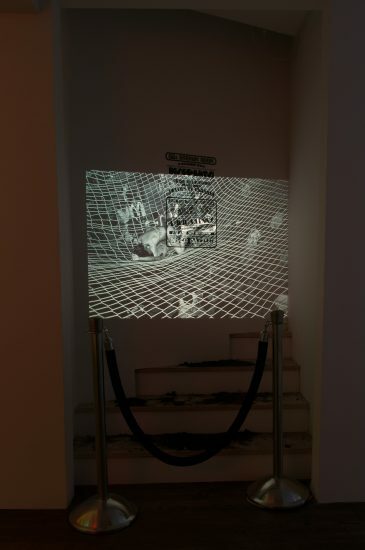 Hilton Als, Dirt Nap/Disco Nap, 2016, dimensions variable, slide projector, black velvet rope with stanchions, GG’s Barnum Room poster; Projected slide: Bill Bernstein, GG’s Barnum Room, Disco Bats on Net, 1979, dimensions variable, 35mm slide transfer. With photographs of the trapeze artist, as well as amorous images of the disco’s patrons flashing over a wall near stairs, Als cuts off the stairs with an unmistakably symbolic velvet rope. Unable to approach the past, we see on the stairs piles of dirt–disco’s grave. Like a bit of graveyard dirt for your nightlife voodoo rituals, Dirt Nap/Disco Nap both acknowledges this particular nightlife scene’s death in the present day, while still maintaining its magical and transformative significance through the memory of the “freedom and joy” contained within. 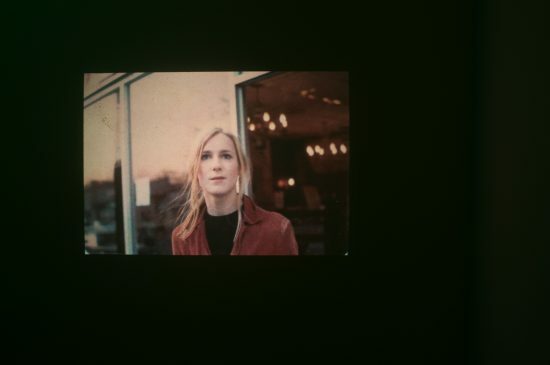 Bill Bernstein, GG’s Barnum Room, “Ava”, 1979, dimensions variable, 35mm slide transfer. Als’ exhibition enacts a similar form of mourning by recognizing the utmost influence of these late genderqueer radicals on those in the present. Als writes, “by excavating the past we learn so much more about the present…” As Als showcases, Holly Woodlawn, Sylvester, Jackie Curtis, Candy Darling, Ethyl Eichelberger and others resonate continuously with many queer individuals today who look back to these figures as role models for the marginalized. In her book Feeling Backward: Loss and the Politics of Queer History, Heather Love analyzes Carolyn Dinshaw’s book Getting Medieval, stating, “She explores the ‘strange fellowships’ and the ‘partial connections’ that link queer subjects across time. Through such connections, queer subjects build an imagined community of the marginal and the excluded” (37). 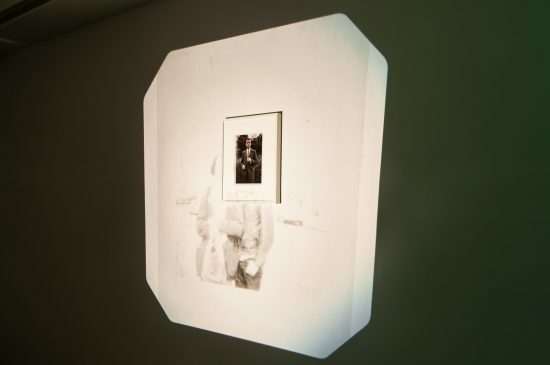 With his complicated layering of archival photographs and contemporary installations, Als essentially enacts, as Love continues, quoting Dinshaw, the “desire for a ‘partial, affective connection, for community, for even a touch across time.’” (37). Tags: Candy Darling, disco, Drag, Ethyl Eichelberger, Feeling Backward: Loss and the Politics of Queer History, GG's Barnum Room, Heather Love, Hilton Als, Holly Woodlawn, Jackie Curtis, John Waters, Justin Vivian Bond, nightlife, Role Models, Storme Delarverie, Sylvester, The Artist's Institute, transgender. Bookmark the permalink. 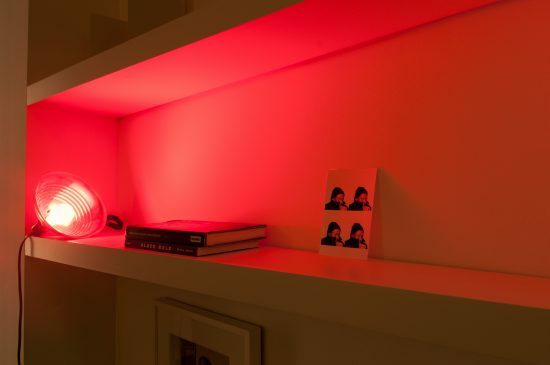 Previous post ← Jerry Saltz, Policing Periods and James Franc-OH NO NOT AGAIN!